With the marketing machine surrounding the DC team-up Justice League already warming up, from set photos to claims that the team's unlikeliest member might be the most terrifying, one figure remains conspicuously absent: Superman. The Man of Steel was dispatched in Batman V Superman with an obvious tease of his return/resurrection, but any and all updates surrounding his role in Justice League have been kept quiet - not that comic book fans don't know exactly what to expect. Thankfully, for the DC or comic book faithful who are all too familiar with "The Death and Return of Superman" storyline being adapted as we speak have been given a gift. Actor Henry Cavill may not reveal any details surrounding how or when Superman returns to the fight, but he is hinting at that same comic storyline - the one-of-a-kind Supersuit worn by the hero, anyway. Now that's what you call a tease. Even odds at whether this is simply an image of the old suit drained of its color, or a glimpse of the black 'recovery suit' worn by Supes in the comics, brought to life for Zack Snyder's next film (the added Kryptonian script matches the upgrades for Dawn of Justice, so the former might be most likely). Either way, it's one more reason for fans to get excited. Snyder may not be every comic fan's cup of tea, but with the footage we've seen of Justice League dialing up the energy and fun, the director's vision for Superman's resurrection is an enticing proposition. 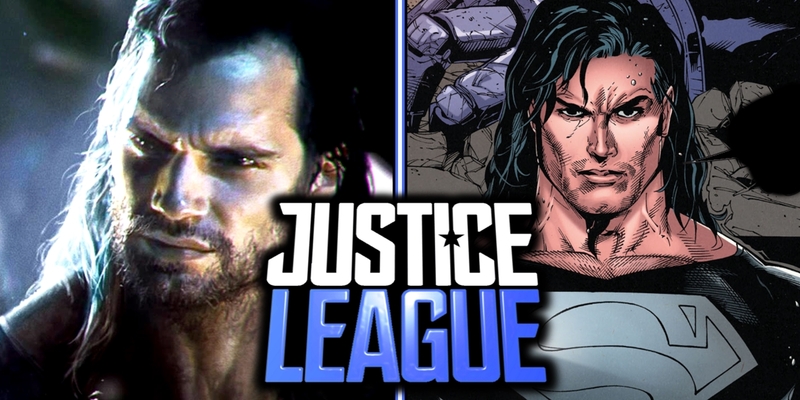 Fans shouldn't get their hopes up that the film will be directly adapting the "Return of Superman" story, however (even if mentions of a long-haired Cavill have gotten some smirks from Snyder). We've run down our own list of ways that Superman could return from the dead in the DCEU, but the version seen in the comics may actually appear to be the least likely. In the comics, Superman's body being placed in a 'Regeneration Matrix' in the Fortress of Solitude, relying on ancient technology to restore him. Since BvS saw him buried in a pine box in Kansas - and still emitting power to raise soil - that's clearly not the case. Who knows what the real answer may be? It could simply be that Earth's radiation is enough fuel to heal Superman, as well as render him (almost) indestructible. Or perhaps his resurrection comes from the intervention of an unknown outsider - as good a mystery as any for Superman to spend his own Man of Steel solo sequel solving. We won't know for some time, but with teases like this, fans of Cavill's Superman can rest easy knowing he's on his way back before too long. And given the villains striking in his absence, his emergence could have serious consequences on the DCEU. Suicide Squad is in theaters now; Wonder Woman is slated for release on June 2, 2017; followed by Justice League on November 17, 2017; Aquaman on July 27, 2018; an untitled DC Film on October 5, 2018; Shazam on April 5, 2019; Justice League 2 on June 14, 2019; an untitled DC film on November 1, 2019; Cyborg on April 3, 2020; and Green Lantern Corps on July 24, 2020. The Flash is currently without a release date.